Frame in anodised aluminium matt natural. Iron-holder in silicon rubber. 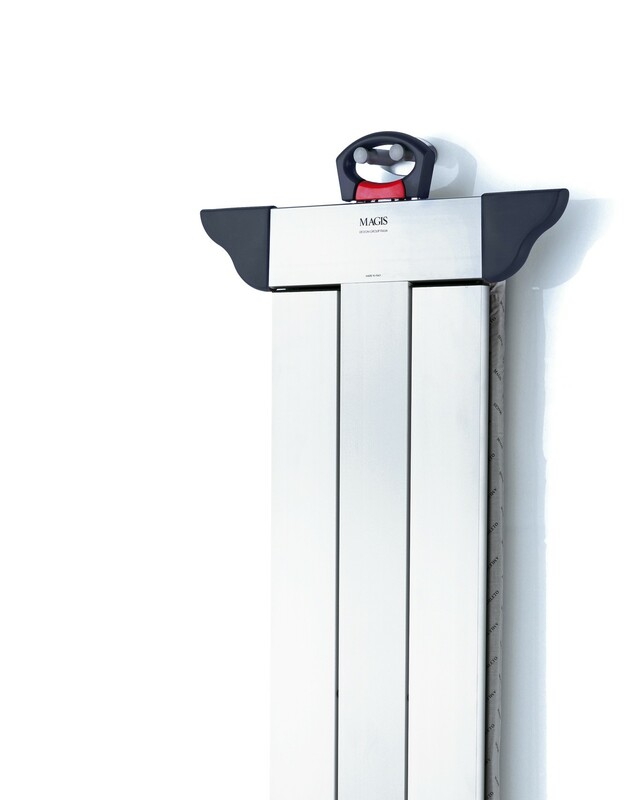 Top in cataphoretically treated metal sheet with cover in polyester and fabric in cotton. Wall hook available. 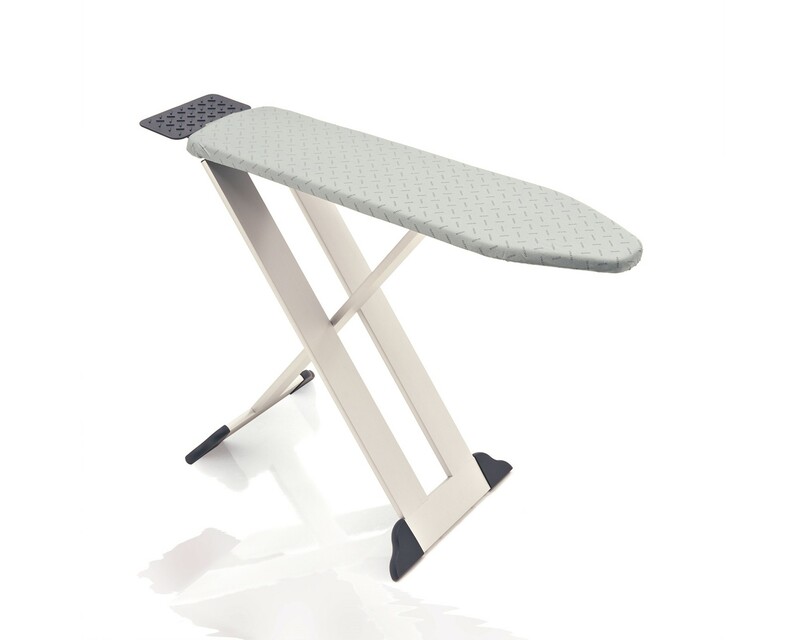 Folding ironing board. Year: 1992. Design Group Italia is an example of Italian professional eclecticism with an international vocation, which has accomplished highly successful projects for a large number of customers around the world. These projects are, naturally, very different from one another, but all share the common denominator of innovation. Design Group Italia’s professional vision is sensitive to the demands of the market and of industrial production processes, combining that receptiveness with an acute awareness of the possibilities and fruits offered by the latest technological advances of the moment.